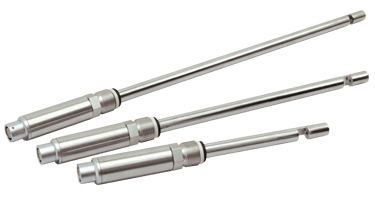 The ASD12-N probe is specifically engineered for use in laboratory fermenters. The seal-less sapphire window design eliminates crevices and gaps to assure the highest level of sterility. All wetted parts are electro-polished steel. The ASD12-N is autoclavable and mounts conveniently through any headplate with a PG13.5 threaded port. The ASD12-N is available in three different insertion depths with either 1, 5 or 10 mm OPLs (optical path length = distance between the windows). Shorter optical path lengths are typically used for dense cell cultures such as bacterial and yeast cultures. Longer OPLs are used for less dense cell cultures e.g., mammalian cells and dissolution / precipitation / crystallization reactions.